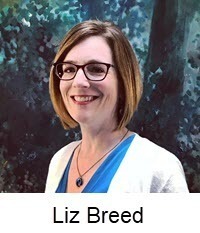 My name is Liz Breed and I am the new Michigan eLibrary Coordinator for the Library of Michigan. While I am a Wayne State alum and have 15 years of experience in public libraries, my background also includes a bachelor’s degree in business administration and 8 years of experience in marketing research. Prior to joining LM, I was the Assistant Director for Public Services at Jackson District Library. I have also worked at Kent District Library and Capital Area District Library serving in a variety of roles. Occasionally, I teach Marketing for the School of Information Science at Wayne State University. As a member of the MeL Team I will be working closely with Sonya Schryer Norris, Kathy Kosinski, Randy Riley and staff from MCLS to support an upcoming redesign of the MeL site and development of MeL Support and Training resources. Additionally, I’ll be assisting with database contract negotiations this year. My role also entails cultivating increased cohesion across all things MeL – MeLCat, MeL databases and MeL Training – with the goal being to increase awareness and support stronger connections. You will see me at conferences and workshops and also supporting LM through various social media channels. I’m excited to be part of the MeL and LM teams, and as a life-long resident of Michigan, I look forward to visiting with library staff all over the state. If you have questions or want to talk about any facet of MeL, please don’t hesitate to get in touch. You can email me at breedl@michigan.gov or give me a ring at 517-373-4466. Brought to you by Liz Breed of the MeL Team. MeL databases are available to Michigan residents or Michigan library access only. Want more information on MeL? Stay tuned for the next MeL Minute available on many Michigan library listservs, email us at contact@mel.org, visit http://mel.org, or sign up for the MeL Minute and other Library of Michigan e-mail lists via GovDelivery. We encourage you to share MeL Minutes with your colleagues and networks.